Movies to look forward to in February – AiPT! Here are the movies we are looking forward to most in February. The first two months of the year are supposed to have the weakest releases of the year. While January was not a very strong month regarding new releases, February looks to have more options for all types of movie fans. There will be films that appeal to fans of various tastes including horror, anime, and even professional wrestling. Here are some movies to look forward to in February. Jacob’s Ladder (Nationwide): The 1990 original starring Tim Robbins is a powerful movie that is as influential as it was frightening. Yet, it was not a movie that had moviegoers clamoring for a remake. Yet, here we are in 2019 with a version that is supposed to pay homage to the original. The movie is about a war veteran who is traumatized with bizarre hallucinations due to his experiences. Piercing (Limited): Starring Christopher Abbott (Girls) and Mia Wasikowska (Crimson Peak), this is an adaptation of a book by Ryu Murakami. The story revolves around a young man who tries rid himself of his murderous impulses. Unfortunately, his plans seem to run into trouble when he meets woman who is not as eager to play along with him as he would like. What Men Want (Nationwide): What Women Want was a 2000 romantic comedy starring Mel Gibson that was better than it should have been considering the premise. A remake with Taraji P. Henson and Tracy Morgan seems like a little more than the thin premise can handle. Or does it? After drinking a potion, a women is able to hear men’s thoughts. The Prodigy (Nationwide): The Prodigy may end up being a generic horror movie, but not every film needs to have a deeper meaning. Plus, the posters are pretty cool. The story revolves around Miles, a young boy who is incredibly smart. Awful things also seem to happen around him a lot. His mother suspects there may be darker forces at work. 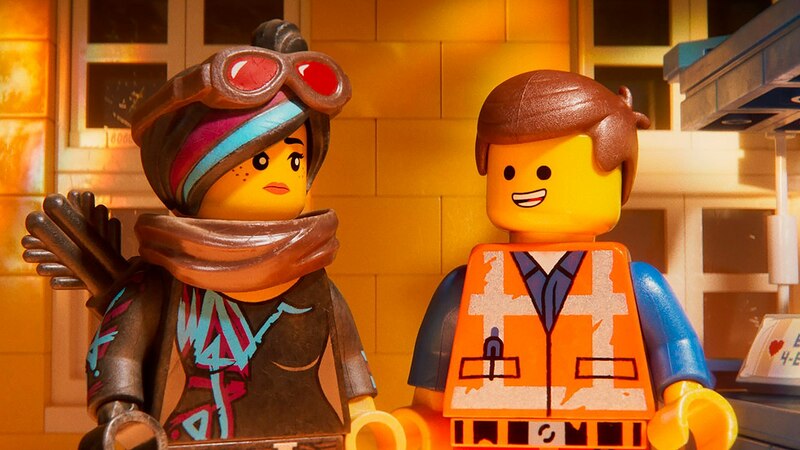 The Lego Movie 2: the Second Part (Nationwide): Pretty much everything was awesome about the first part and while it did not change how animated films are written like everyone initially thought, it is one of those rare sequels that audiences wanted. With the same writing crew as the first movie there is a good chance everything will be awesome again. Cold Pursuit (Nationwide): The “Taken in Alaska” jokes may be a little premature. While the film does star Liam Neeson it is set in Colorado. Unlike Taken, Neeson plays a snowplow driver. Also unlike the 2008 action movie about a father trying to save his daughter, Cold Pursuit is about a father trying to…actually the jokes make a little sense. Isn’t it Romantic (Nationwide): With Valentine’s Day around the corner, there are are plenty of romantic comedies to enjoy during the month. Isn’t it Romatic stars Rebel Wilson as a woman who gets hit on the head and wakes up in what seems to be a romantic comedy. Also stars Liam Hemsworth. Happy Death Day 2U (Nationwide): The original was one of the bigger surprises of 2017. Most wrote it off as a Groundhog Day rip off with a horror spin. Some horror fans found it too silly. The sequel seems just as fun and more interesting. Back to the Future with a horror spin? Alita: Battle Angel (Nationwide): Based on the popular manga and directed by Robert Rodriguez, the movie has a strong cast that includes Jennifer Connelly and Mahershala Ali. The plot follows Alita, a cyborg who has lost all memories. The visuals look fantastic but anime adaptations have proven to be a tough sell. Fighting with My Family (Nationwide): Professional wrestling movies do not have an illustrious history. They tend to be hated by wrestling fans while casual movie goers will ignore them. Fighting with My Family is about the WWE career of Paige. Unlike most wrestling films, this one looks like it may not be a complete embarrassment to wrestling fans. Adventures in Movies! Podcast Episode 3: We’re not (Oscar) worthy!